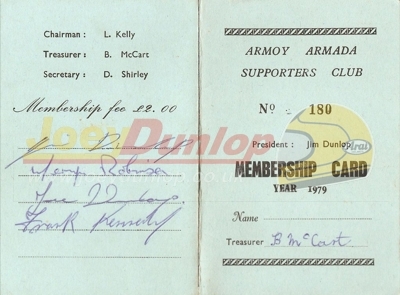 The Armoy Armada was established in 1977 and consisted of Mervyn Robinson, Joey Dunlop, Frank Kennedy & Jim Dunlop. 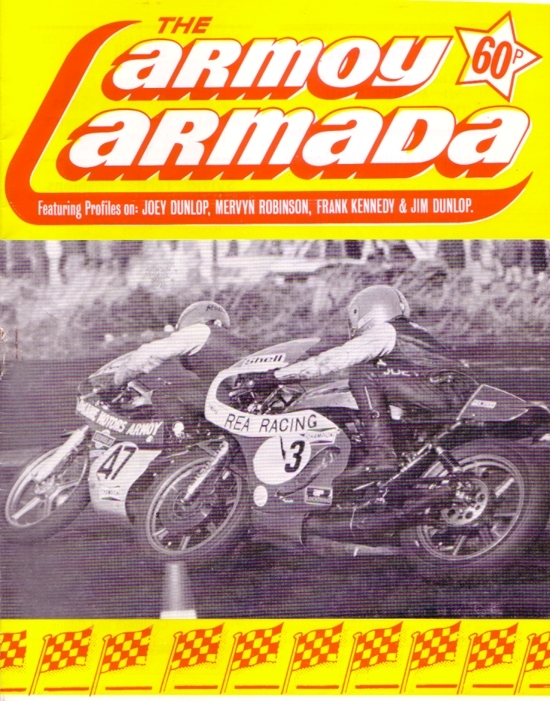 The life span of the Armoy Armada covered 3 seasons of racing from 1977 to 1979; during that time these men demonstrated acts of commitment, dedication, camaraderie and talent proving that the Armoy Armada really were legends in the sport of Road Racing. 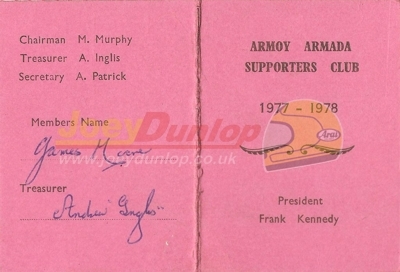 All member's of the Armoy Amarda's Supporter's Club received a membership card. 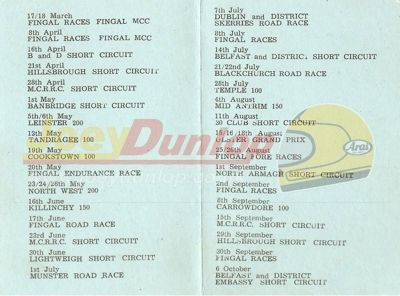 The following cards belonged to Davy Moore's Father for the years 1977-1978 and 1979. 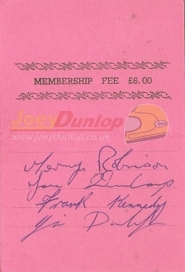 Each one was individually signed by Joey Dunlop, Jim Dunlop, Mervyn Robinson and Frank Kennedy.